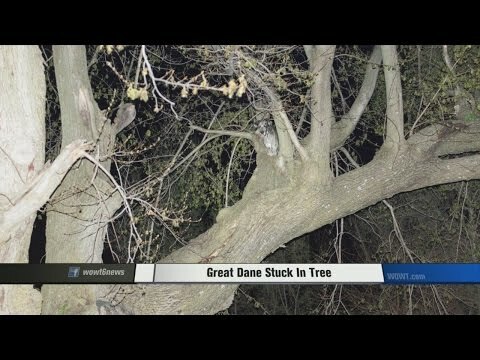 McGuirk came home and heard his dog whimpering outside when he went to investigate he saw his 120-pound Great Dane stuck up in a tree. He tried climbing the tree but he was not able to get to where his dog was. He had no idea how his Great Dane had got so far up, so he decided to call firefighters for help. When they received the call they thought it was a prank call, but when they turned up they could not believe their eyes. After spending about an hour planning and rescuing Kora, she simply walked into the house when she was rescued.